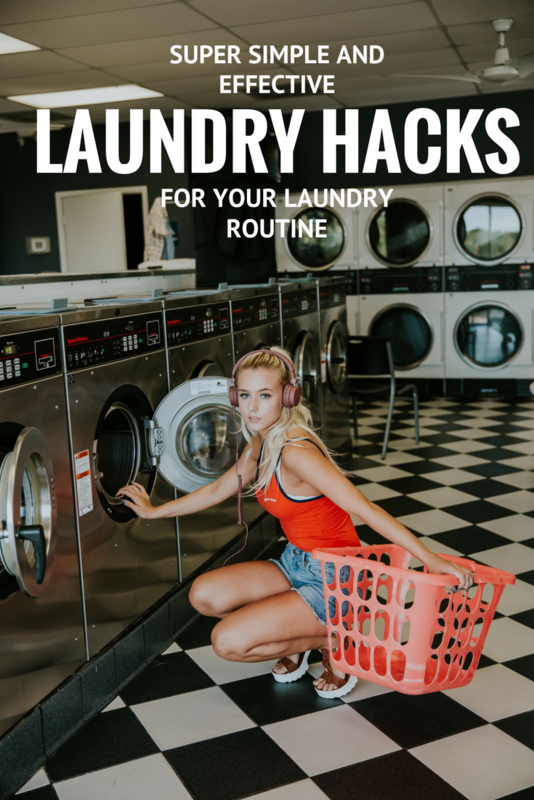 Let’s face it, doing the laundry isn’t fun but with these quick and simple laundry hacks, your laundry routine will become much simpler and more effective. I promise! It might come as a surprise to some, but only a clean washing machine can ensure that your laundry is truly clean when it comes out the wash. The inside of your machine can get stained and grimy and odours and dirt might cling to your clothes when you think they’re actually getting a good and thorough wash. Dr. Beckmann’s Service-it Washing Machine Cleaner and Dr. Beckmann’s Service-it Washing Machine Deep Clean are fab products to use, if you want to treat your washing machine to a deep clean but there are also more natural options, if you prefer it that way. Also, make sure to clean around and under the rubber of your washing machine as well as the dispensers for washing powder or fabric conditioner using a vinegar and hot water solution. One of the things that I always google is how to remove certain stains, so I thought no list of laundry hacks would be complete without some tried and tested stain removal tips. Red wine: Dab the stain with kitchen towel to remove any liquid, (don’t rub), then cover with salt overnight, then wash as usual. Grass stains: To remove grass stains, dab the stain with a 50/50 mixture of warm water and white vinegar before washing as usual. Pens: Spray the stain with hairspray (needs to contain alcohol), let it sit for a minute, then carefully dab the stain with a white cloth before washing. For stubborn stains, repeat these steps with rubbing alcohol. Blood: Soak the stained item of clothing in cold water with lemon juice, sprinkle some detergent straight onto the stop and let it sit for a couple of hours/overnight. Wash as usual. Oil/grease: Cover your stain in baby powder or corn starch and let it sit for an hour. After removing the powder and corn starch, carefully massage some washing-up liquid into the stain and wash as usual. If you’re a bit like me and you hate ironing or maybe don’t feel like setting up the ironing board for just one item, read on. 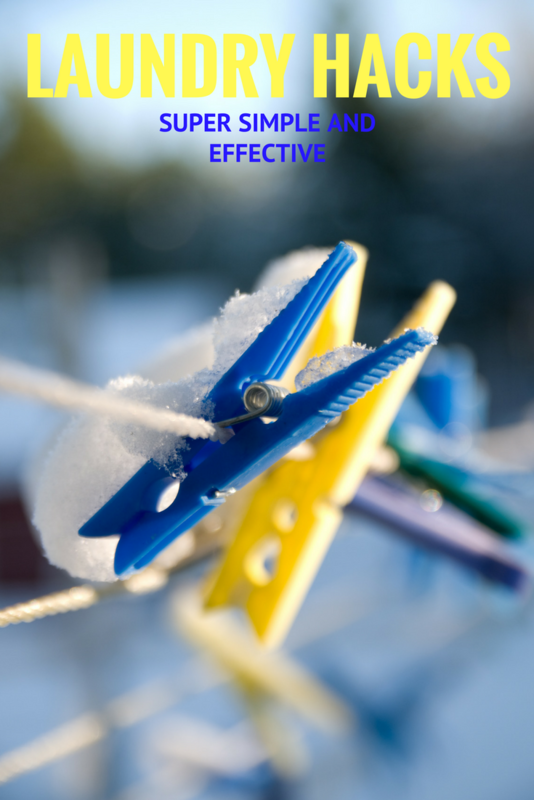 There are a couple of laundry hacks out there that will make your life so much easier. The absolute top tip is to hang up or fold your clothes as soon as they come out of your tumble dryer. It’s probably an obvious one, but admit it, how often do you leave your dry laundry in the dryer for hours after the cycle is over? Got a blouse or shirt that do with ironing? Hang them up in your bathroom and let your shower run on a really hot temperature for a couple of minutes. The steam will remove any creases and wrinkles and you’ll be good to go without getting your ironing board out. A homemade wrinkle spray (mix fabric softener and water in a 1:10 ratio) makes your wrinkles disappear in seconds too. Simply spray on your item of clothing and watch your clothes magically unwrinkle in front of your eyes. A post on laundry hacks wouldn’t be complete without some tips on drying your clothes, so let’s speed up that tumble dryer and get those towels extra fluffy. For extra fluffy towels, simply make yourself your very own dryer balls. Just scrunch up some tin foil, shape a little ball and pop it into your tumble dryer. Your little homemade dryer ball can be used over and over again and will give you the softest towels ever! While we’re speaking about towels. Simply drop a dry towel into your tumble dryer for 15 minutes and it will soak up excess water and help dry everything much quicker. Just don’t forget to take it out after 15 minutes or it will spread the water around and you won’t have gained a single thing. What are your top laundry hacks? Let me know in the comments below and make sure to pop over to my Facebook page for a sneaky little giveaway with Dr Beckmann.